french Post-Impressionist painter Paul Cézanne was Born 19th January 1839 in Aix-en-Provence, France, At the age of ten Paul entered the Saint Joseph school, where he studied drawing under Joseph Gibert, a Spanish monk, in Aix. In 1852 Cézanne entered the Collège Bourbon (now Collège Mignet), where he met and became friends with Émile Zola, who was in a less advanced class, as well as Baptistin Baille—three friends who would come to be known as “les trois inséparables” (the three inseparables). He stayed there for six years. From 1858 to 1861, complying with his father’s wishes, Cézanne attended the law school of the University of Aix, while also receiving drawing lessons. Hhe committed himself to pursuing his artistic development and left Aix for Paris in 1861, encouraged by Zola, who was already living in the capital at the time. 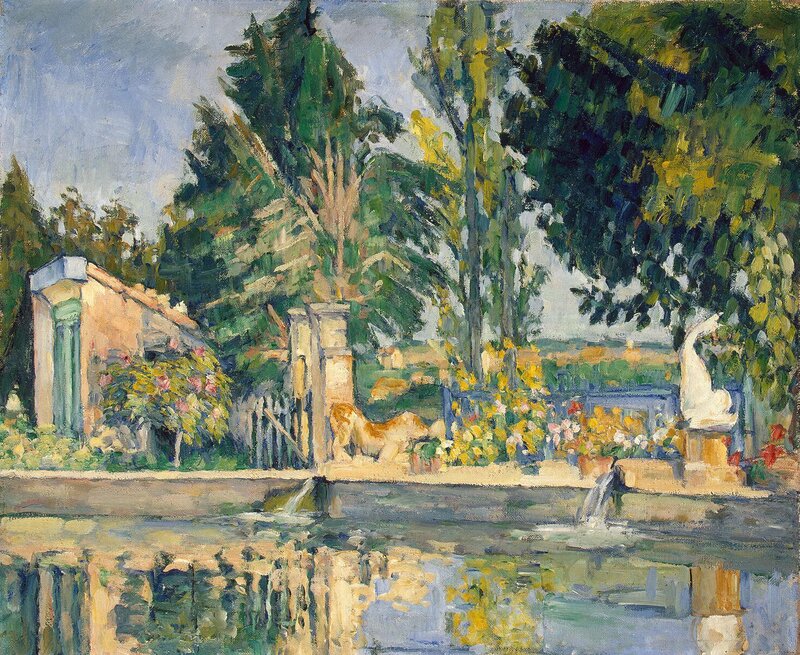 In Paris, Cézanne met the Impressionist Camille Pissarro and Over the course of the following decade they went on many landscape painting excursions together, in Louveciennes and Pontoise.Cézanne’s early work is often concerned with the figure in the landscape and includes many paintings of groups of large, heavy figures in the landscape, imaginatively painted. Often referred to as “The Queen of Country Music,” The American singer-songwriter, author, multi-instrumentalist, actress and philanthropist Dolly Parton was born January 19 in 1946. Aside from singing Country Music she has also appeared in many movies such as 9 to 5, The Best Little Whorehouse in Texas, Steel Magnolias and Straight Talk and is one of the most successful female country artists of all time.Dolly Parton was born in Sevierville, Tennessee, and began performing as a child, singing on local radio and television programs in the Eastern Tennessee area. 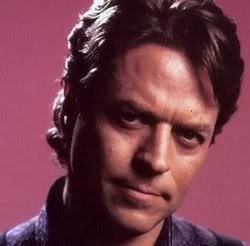 Award-winning English singer-songwriter Robert Palmer was born 19 January, 1949 in Batley, Yorkshire. He was known for his distinctive voice and the eclectic mix of musical styles on his albums, combining soul, jazz, rock, pop, reggae and blues. He found success both in his solo career and in the musical act Power Station, and had Top 10 songs in both the US and the UK. His iconic music videos by Terence Donovan for the hits “Simply Irresistible” and “Addicted to Love”, featured identically dressed dancing women with pale faces, dark eye makeup and bright red lipstick, which resembled the women in the art of Patrick Nagel, an artist popular in the 1980s. Sharp-suited, his involvement in the music industry commenced in the 1960s, covered five decades and included a spell with Vinegar Joe. Formula One racing Driver Jenson Button MBE was born 19 January 1980. He is currently signed to McLaren, and was the 2009 World Drivers’ Champion. He began karting at the age of eight and achieved early success, before progressing to car racing in the British Formula Ford Championship and the British Formula Three Championship. He first drove in Formula One with the Williams team for the 2000 season. The following year he switched to Benetton, which in 2002 became Renault F1, and then for the 2003 season he moved to BAR. They were subsequently renamed Honda for the 2006 season, during which Button won his first Grand Prix in Hungary, after 113 races. Button remained at McLaren for the 2012 season, again partnering Hamilton. Button qualified second to Hamilton, Winning the 2012 Australian Grand Prix And went on to qualify second to Hamilton at the following race in Malaysia, eventually finishing14th after a collision with the HRT of Narain Karthikeyan.bButton finished second in the Chinese Grand Prix two weeks later. Button qualified fourth behind his team mate Lewis Hamilton at the 2012 Bahrain Grand Prix Button, But and retired on lap 55 due to an exhaust failure. Button qualified in 11th position At the 2012 Spanish Grand Prix Button qualified in 11th and finished 3rd at the German Grand Prix at Hockenheim but was later promoted to second after Sebastian Vettel was penalised. He started in Pole Position for the Belgian Grand Prix at Spa Francorchamps eventually winning after leading the whole race. He qualifies second at the Italian Grand Prix in Monza, but retired. Button qualified in fourth position for the Singapore Grand Prix, eventually finishing second behind Vettel and qualified third for the Japanese Grand Prix but received a five place penalty starting Eighth eventually finishing fourth behind Kabui Kobayashi. Button retired from the Korean Grand Prix after colliding with Kobiyashi and Nico Rosberg. Button finished fifth at the Indian Grand Prix, behind team-mate Hamilton and fourth atheist Abu Dhabi Grand Prix. Button won the Brazillian Grand Prix after Lewis Hamilton and Nico Hülkenberg collided, and finished fifth in the Championship. In 2013 Button announced his intention to stay with McLaren until his retirement, partnering Mexican driver Sergio Perez, and finished ninth at the Australian Grand Prix. He sadly retired form the Malaysian Grand Prix and finished Forth at the Brazilian Grand Prix after a disappointing season. Danish driver Kevin Magnussen replaced Sergio Perez for the 2014 season. For 2014 The rules changed enabling drivers to pick a car number lasting for their Formula One career. Button picked number 22 which was the car number he raced under during his World Championship winning year for Brawn GP in 2009. Button finished the Australian Grand Prix in 4th place being promoted to third after Daniel Ricciardo was disqualified for rule-breaking. He went on to finish the season Eighth in in Drivers Championship. Button stayed with McLaren for the 2015 Season. American author, poet, editor and literary critic Edgar Allan Poe was born January 19, 1809 in Boston, Massachusetts. He was orphaned young when his mother died shortly after his father abandoned the family & was taken in by John and Frances Allan, of Richmond, Virginia, but they never formally adopted him. He attended the University of Virginia for one semester but left due to lack of money. After enlisting in the Army and later failing as an officer’s cadet at West Point, Poe parted ways with the Allans’. His publishing career began humbly, with an anonymous collection of poems, Tamerlane and Other Poems (1827), credited only to “a Bostonian”. Poe switched his focus to prose and spent the next several years working for literary journals and periodicals, becoming known for his own style of literary criticism. His work forced him to move among several cities, including Baltimore, Philadelphia, and New York City. In Baltimore in 1835, he married Virginia Clemm, his 13-year-old cousin. In January 1845 Poe published his poem, “The Raven”, which tells of a talking raven’s mysterious visit to a distraught lover, who is lamenting the loss of his love, Lenore and it traces the man’s slow descent into madness. The poem has a supernatural atmosphere and also makes use of a number of folk and classical references and became a huge success. Poe claimed to have written the poem very logically and methodically, intending to create a poem that would appeal to both critical and popular tastes, as he explained in his 1846 follow-up essay “The Philosophy of Composition”. The poem was inspired in part by a talking raven in the novel Barnaby Rudge: A Tale of the Riots of ‘Eighty by Charles Dickens. Its publication made Poe widely popular in his lifetime, although it did not bring him much financial success. Soon reprinted, parodied, and illustrated, critical opinion is divided as to the poem’s status, but it nevertheless remains one of the most famous poems ever written. He began planning to produce his own journal, The Penn (later renamed The Stylus), though he sadly passed away On October 7, 1849, at age 40 in Baltimore; the cause of his death is unknown and has been variously attributed to alcohol, brain congestion, cholera, drugs, heart disease, rabies, suicide, tuberculosis, and other agents.